One too many times, young people are faced with many challenges while trying to prove their worth. This film reminds us that through strong character and determination, you can still overcome anything thrown your way. When Netflix finally advertised the release of the film Lionheart, I had already set a reminder! Directed by the amazing Nigerian actress Genevieve Nnaji, this film does not fail to impress with its exceptional production quality and inspiring story line. It follows Adaeze Obiagu, a highly successful female executive on the journey to prove her worth in a male-dominated world. She battles unwelcoming banks, bribers, and unwanted men’s advances to save her father’s debt-ridden company in only 30 days! As a young African lady still at the start of building my legacy, this film truly resonated with me. One too many times, young people are faced with many challenges while trying to prove their worth. But as this film reminds us with a few lessons, through strong character and determination, you can still overcome anything thrown your way. As young people, there is always a lot of pressure to have a plan for life. From finishing school, getting a job, and even marriage, the pressure is on to get it sorted out before 30! 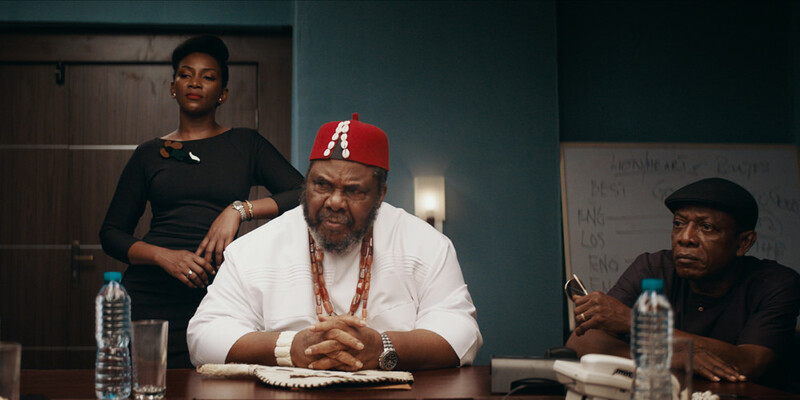 In this film, Adaeze works hard to claim the position of CEO, only for her father to shove her unexpected uncle on the seat. The truth is, even the best plans sometimes go south. As a young person, you will discover that this happens one too many times. It’s easy to get frustrated and give up. But as science and everyday life continue to prove, patience is the simple secret to surviving life’s interruptions. It’s no secret that how we treat others will impact us later on. When Adaeze’s uncle helps a businessman escape being duped, he doesn’t know that this same businessman would later save their company. In another scene, Adaeze finds the solution through listening to the people on the streets. Though its an old adage, treating others well still remains one of the best ways of forming good relationships. Whether it’s identifying solutions or pointing out your blind spots, these relationships help you become a better leader and person. A friend of mine often jokes that we better treat them well because they are going to become someone great one day. The truth is, you never know whether the person you help today could come and transform your life tomorrow. Finally, at a time when everyone is setting goals and new year’s resolutions, it’s important to base our foundations on what we value and cherish. Towards the end of the film, Adaeze’s father has a heartwarming speech where he mentions that despite all his successes, his biggest legacy is his daughter. When forced to make a decision regarding the future of his successful company, he trusts his daughter’s bet because she is his most cherished. If you have a strong idea of what you value and cherish, you find that even when life challenges you, you have a sense of direction of what decisions you need to make based on these values. I believe in finding lessons in every experience. My name is Hope and yes I've just about every joke there is to do with my name. But I'm still here. I am currently pursuing my undergrad and following my passions in women empowerment, photography, digital marketing, and baking.